65 km west from Mar del Plata lays the city of Balcarce, where we find Fangio Museum since five times FM1 Racing Car world champion was born and lived. On this tour we will pass through some of the most fertile land in Argentina interspersed with low mountains and beautiful farms in the valleys. 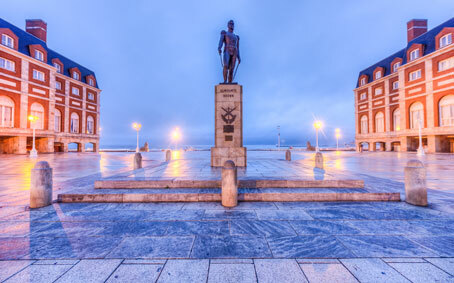 The area is also rich in folklore as well as being the potato growing capital of Argentina. Cattle rising are another of the area's activities and we will see both historical and modern ranches. From the highway we can see the National Institute of Agriculture and Technology and the Earth Station for Satellite Communications. The native stone traditionally used in construction throughout the region is quarried in this area. 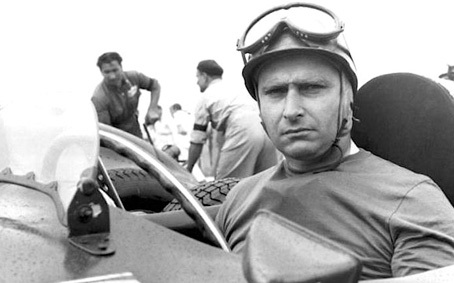 We will visit Balcarce's principal attraction: the Fangio Museum. It was donated to the city by the grand champion. In this museum, specially designed by world famous architects, Mr. Fangio has gathered all of his trophies, cars and documents showing the history and development of car racing and the auto industry in our country. Other points of interest to be visited in this picturesque city are the Juan Manuel Fangio Racetrack, his parents' house and the garage where he started and developed his passion for auto racing. In the middle of the eighteenth century the Jesuit monks established a mission in this area which now bears the name of "Laguna de los Padres" (Lake of the Monks).They were the first European men who tried to settle in this region, building a chapel with living quarters and a trading post. They succeeded in gathering a small group of Indians together, thus making the area known to the white world. Now there is a smaller reproduction of this mission where documents related to its history are exhibited. Next we will visit the "Jose Hernandez" museum, which is named after the archetypical gaucho who was the author of the classic Argentinean poetry book "Martin Fierro". This poet and author first came in contact with country life and the activities of the gauchos while living here on his uncle's ranch (estancia). 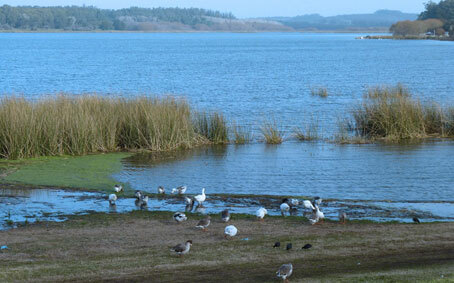 The landscape is typical of this area: rolling hills dotted by many farms and small ranches. Along the road from the lake to "Sierra de los Padres" (Monks' Hills) there are recreation facilities; small truck farms with hot houses for growing winter flowers. Once there, we discover a modern residential area of beautiful homes, restaurants, and a golf course with magnificent views of the valley bellow. In addition there is a traditional general store "la pulperia", which was a social gathering point for the gauchos at sunset. 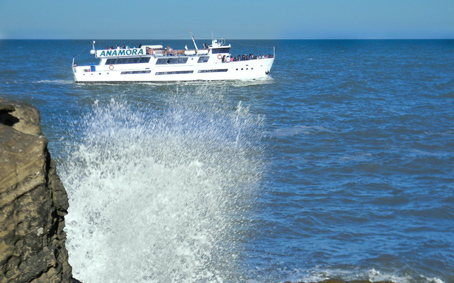 Mar del Plata is the main touristic destiny chosen by Argentineans. It was founded one century ago and its beaches are visited every year for around 3 million people, between middle December and March (Summer in south hemisphere) Its permanent residents are around of 600.000 people. Several beaches, imposing cliffs, millenarian rocks, parks, boulevards and esplanades alternate themselves to accompany the 47 km of coast that characterize the marine profile of the city. It is connected with Buenos Aires through a modern highway (National Route Nº 2) and only 400 km away. Its Airport is located 10 km away from city center.